We hope you all had a wonderful Thanksgiving holiday with your families. We have enjoyed hearing about everyone’s celebrations. Last week was a short and busy week. In addition to preparing for our wonderful Midor L’Dor celebration with grandparents and special friends, we were hard at work on our Thanksgiving stories as students learned about the history of Thanksgiving and sequenced the events in their own story book. Students also enjoyed their Thanksgiving feast! They answered questions about the holiday, shared what they are thankful for, and ate some delicious chicken, vegetables, and pumpkin desserts. In math, we started our next chapter on size and positions. Students compared different sizes and used the vocabulary of big, bigger, small, smaller, and same size. We will continue with positions this week. This week students will be learning about the different parts of a community (residential, recreational, agricultural, commercial, and industrial). Students will be able to see how they fit within and what makes up their own community. We will end the week with students using classroom materials to build their very own community! We look forward to filling you in further next week. Winter break is just around the corner. Our class Hanukkah party will be on Friday, December 16th. Please look out for an email from the room parents with food assignments and volunteering opportunities. December 9th Klei Kodesh – Gavin S, Harper, and Jordan G.
Transform the lives of Guatemalan children by giving them the gift of reading. Just $10 buys books for these children and, in return, Wise School students will receive a hand-woven friendship bracelet as a token of appreciation. This Hanukkah, show your children how meaningful giving can be. Our beautiful music program performed by our talented Wise School Music Academy students will be on Wednesday, December 14th. We will open the evening at 6:00 p.m. with a wine and food tasting by Cucina Benne to accompany our Art Show with our brilliant Artist in Residence, Mario Mueller. The concert begins at 7:00 p.m. with our Master of Ceremonies, Rabbi Ron Stern. It’s sure to be magical holiday event! RSVP link coming soon. The MeshugaNutcracker! The Hit Chanukah Musical! | December 20th | 7:00 p.m. The MeshugaNutcracker! is a full-length musical that features the wonderfully silly sensibilities of the folklore of Chelm underscored by an invigorating, Klezmer/Broadway score. Judah Maccabee’s triumphant saga emerges with a genuine sense of wonder as the Chelmniks tell eight stories that pay tribute to the holiday. Add in dancing dreidels, singing sufganiot, and a surprise special Wise guest star and you have the perfect recipe for a holiday outing! It’s a feast for the eyes, a festival of fun, and good for the soul. Join us on Tuesday, December 20th for a special evening benefiting Wise School. Visit www.TheMeshugaNutcracker.com for tickets and use code WISE. This week we continued long vowels with bossy “e.” We learned that when bossy “e” shows up at the end of a word, he makes the vowels change their name. In reading we are continuing to make “bullseye” predictions. To support comprehension, we are beginning to talk about visualizing, making a picture in our head. We are practicing our visualizing in our quick draw books. In math we have started learning about fact families and related facts. They’re becoming real mathematicians while learning the relationships between numbers! In Hebrew and Judaic studies we are learning about Hanukkah, new letters, and blessings. 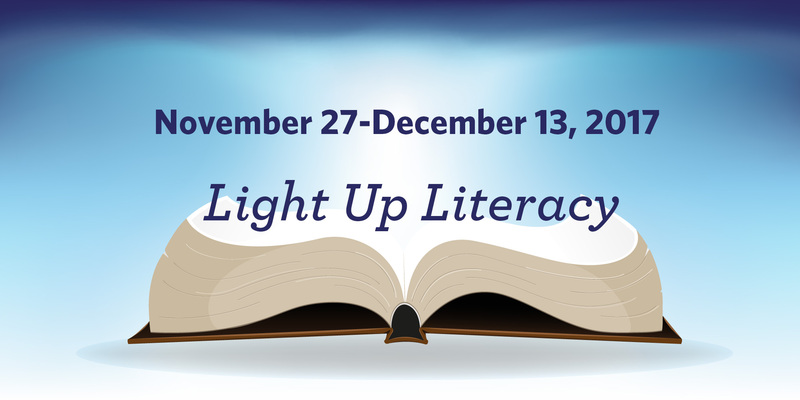 We have been very busy preparing for our big Light Up Literacy/Hanukkah assembly, featuring 1st grade, on December 16th. We hope you can make it! Last week was a short and busy week. In addition to preparing for our wonderful Midor L’Dor celebration with grandparents and special friends, we were hard at work focusing on the big idea in 2nd grade, “Power Leads To Change,” and how it applies to different stories about immigration. Students learned about the power of wanting religious freedom and a better life, and how that power led people from different countries to make a change in their lives and immigrate to the United States. This week the students will be focusing on a time in their life that some kind of power influenced them to make a change. In Judaic Studies, the 2nd graders have begun to investigate the story of Hanukkah. What was the power that led to change in the story of Hanukkah? We are also learning the proper way to light the Hanukiyah, how to play the dreidel game, and of course all the songs and blessings that are traditionally a part of the holiday. Winter break is just around the corner. Our class Hanukkah party will be on Thursday, December 15th. Please look out for an email from the room parents for food assignments. Tomorrow, Friday, December 2nd: Please remember to send SOVA, Tzedakah, and have your child wear a white shirt. Spelling test reminder for tomorrow, Friday, December 2nd. Please remember to review the spelling words with your child in preparation for tomorrow’s spelling test. We hope you all had a nice Thanksgiving holiday with your families. In social studies, the students have presented their group research projects. It was so interesting to see multiple perspectives about the Gabrielino-Tongva tribe. We learned how the tribe adapted to their environment, with a focus on their religion, language, jobs, food, and clothing. As each group presented, each student was responsible for filling out a study guide to help organize the information being presented. In Hebrew, our 3rd graders are working hard on their writing skills. They are working on creative writing projects and songs about their birthdays and about their school. All students are able to write in cursive script! In Judaic Studies, the 3rd graders have been digging deeply into the story of Hanukkah. How did the big idea of Change Influencing Adaptation affect the outcome of the Hanukkah story? We are also learning the proper way to light the Hanukiyah, how to play the dreidel game, and of course all the songs and blessings that are traditionally a part of the holiday. Last week was a short and busy week. In addition to preparing for our wonderful Midor L’Dor celebration with grandparents and special friends, we were hard at work finishing our unit on Native Americans that inhabited the New World. Students were tested on this topic and are ready to learn about explorers! In social studies, students will be learning about why Europeans would want to come to California and how the quest for power motivates people. In addition, students will be completing various projects about explorers. We look forward to filling you in further next week, once we have had a chance to delve deeper into our studies. Winter break is just around the corner. The date of our class Hanukkah party will be determined soon. Please look out for an email from the room parents for further details and food assignments. In Hebrew, 4th graders completed another unit in the book ‘Chaverim B’ivrit’ (Friends in Hebrew) and demonstrated their reading comprehension skills by answering open ended questions and completing writing assignments. They engaged in dramatic play where they differentiated between male and female adjectives. In Judaic Studies, 4th grade students are reviewing the holiday of Hanukkah and comparing and contrasting the differences between a menorah and a Hanukiyah. This week we are honoring Tess Karubian, Elan Haronian, Nika Khaloyan, Lauren Messian and Shep Johnson as our Klei Kodesh leaders. The highlight of our week will be celebrating Shabbat together this Friday night and we look forward to our students helping to lead Shabbat services. Welcome back! 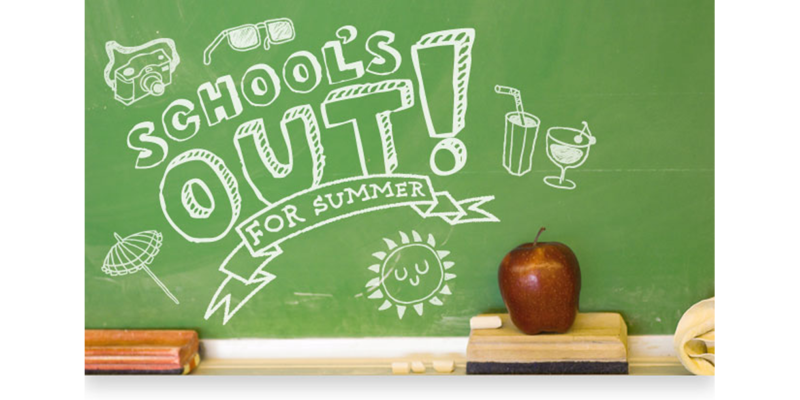 We hope you had a great break and are ready to get busy! In social studies, we’re wrapping up our study of chapter 5, the Age of Exploration. Students read and reviewed information regarding their assigned explorer and created a slide show that highlighted their understanding of the explorer’s expedition, including motives and impacts. This Friday, December 2nd, there will be a short open-notes test. Moving forward, we’re hopping into Plymouth, Roanoke, and Jamestown, our first settlements in the New World. Coming next week, on Friday December 9th, we will have our Word Wisdom Unit 2 Test! Remember-WW tests always include 2 parts: a multiple choice definitions section and an analogies section. To prepare for the analogies, review the yellow Analogy packet.There are also several online games to play-look around. In 5th grade Hebrew, we are learning about Tamar’s class trip to “Neot Kedumim,” a Biblical museum. It offers different activities such as making pure olive oil. By looking at trends and using the Venn Diagram, students are comparing a modern park to the way it was in Biblical days. 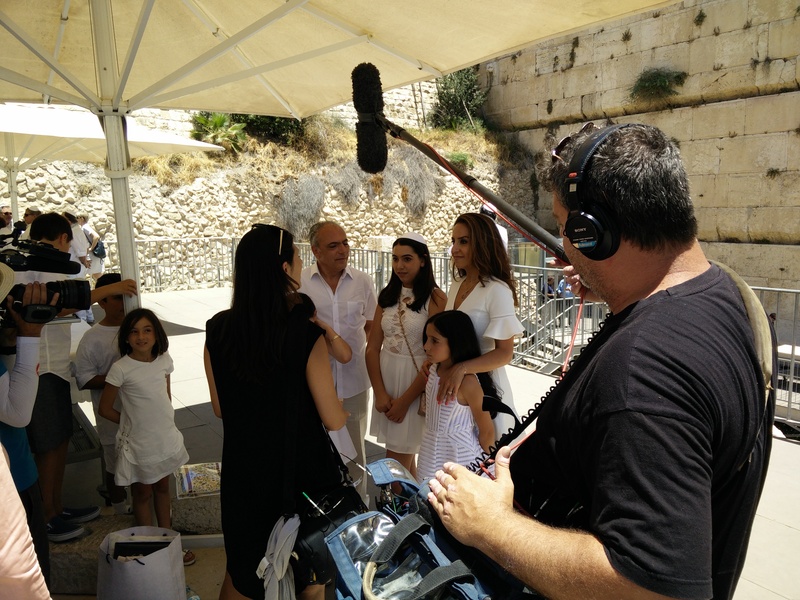 This helps us make connections across the disciplines, and gain a deeper understanding of Jewish history and the Israel of today. In Judaic Studies, 5th graders are exploring Ashkenazi and Sephardic Jews. They are comparing patterns found between the two and will be looking at their Hanukkah traditions. At our Thursday morning service this week we are honoring Alexander Bani-Esralili, Emmily Ghadooshahy, Jonathan Bani-Esraili and Tyler Khaloyan. Our first group of students will be presenting their D’var Torah this Friday. We look forward to Ethan Saba, Aiden Yedidsion and Amber Kleinman sharing words of Torah in each of their classrooms. In math, the 6th graders are creating percentage circle graphs. They are picking topics of interest, researching the data on percentage changes, recording their findings in a graph, and then interpreting and analyzing their findings. We are all learning a lot from their presentations! In social studies we are learning about the features of a civilization. Students will be exploring whether or not the Sumerians were truly the first civilization. In Hebrew, our 6th graders are working diligently to improve all Hebrew language skills. As the holiday of Hanukkah is approaching, and in keeping with our theme this year, the students are engaged in learning about the artifacts that are significant to the holiday. This week, two of our Judaic Studies sections have begun learning about the Greek period and the birth of Hanukkah. Be sure to ask them why Hanukkah is actually 8 days! Our other section, meanwhile, has begun learning about the birth of Christianity and its relationship to Judaism. Science Fair Reminder: By now, students should be beginning their science fair trials. All trials are due BEFORE winter break. If there are any issues, please feel free to contact Miss Bolkin or Mrs. Coatney. Join Rabbi Yoshi and Rabbi Darren Kleinberg, PhD, as they discuss what it means to be Jewish in the 21st Century. Calling upon his book, Hybrid Judaism: Irving Greenberg, Encounter, and the Changing Nature of American Jewish Identity, Rabbi Kleinberg will explore identity from a sociological and theological point-of-view. Focusing on the life and work of Rabbi Dr. Irving “Yitz” Greenberg, we will consider the role of transformative encounters in the development of contemporary Jewish identity. We know that the best recommendation for a school is one that comes from a current family. We hope that you will all tell your friends about our upcoming Open House. This event is the perfect opportunity for parents to learn more about the Elementary School’s curriculum, faculty, administration, athletics, extracurricular activities and more. They will hear from our head of school, administration, current parents and students about their experiences at Wise will have the opportunity to ask questions. Please click here to register. Annual Giving – We are excited to announce that we have already raised over $315,000 for our Wise School Annual Giving Campaign, putting us 65% of the way to our financial goal. Thank you to the many families who have already donated. We want 100% participation. To donate now please click here or contact Jessica Lebovits at [email protected] or 310.889.2276. Party Book | Favorite Things | Tuesday, December 13th | 7:00 p.m.
We want you to be a part of the can’t miss Party Book party of the holiday season! Join us for our Favorite Things party back by popular demand! Grab all your girlfriends and head on over to an unforgettable evening of food, libations, laughter, and, of course, a gift exchange. We all have that favorite thing that we can’t live without. Bring your special gift item, costing no more than $30, wrapped and ready to swap. The goal is to walk away with the nicest gift and even greater memories! A fun and creative way for Wise Moms to get to know each other. It’s getting chilly outside, so stock up now on your cold weather Wise Style gear! Click here to start shopping now or at http://mycart.wisela.org/wise-style/. Family Camp is back at Camp Ramah in Ojai! Save the date: March 24th – 26th, 2017. Registration will open in January! AIPAC @ WISE | Dr. Daniel Gordis | Thursday, December 15th | 7:15 p.m. Explore issues that are of critical importance to Israel with Dr. Daniel Gordis, one of Israel’s most insightful thinkers and analysts. [email protected] is presented by The American Israel Public Affairs Committee in partnership with Stephen Wise Temple. Learn more here. Join fellow Wise dads on our 2nd annual Men’s Ski Trip to Mammoth Mountain. Only 20 spots are available! Learn more on Facebook.